The efficiency of a hand pump with the convenience of CO2. Versatile design combines the efficiency of a hand pump with the convenience of CO2. Innovative 2-in-1 inflation system works as a high pressure hand pump or CO2 inflator. Integrated steel-braided CO2 Flex Hose (CFH) also works as a CO2 dispenser. 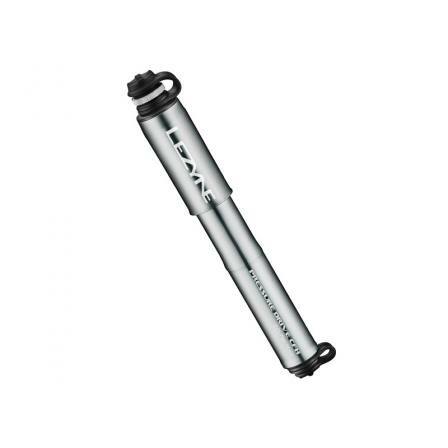 Pump features a CNC machined aluminum body, piston and handle. Flip-Thread Chuck (non-ABS) works on both Presta and Schrader valves. Kit includes: Pump with integrated CFH hose, one 16g cartridge and CFH mounting hardware. Adaptable configuration conveniently mounts to frame or slides into jersey pocket.